To keep DS-3 transmission links operating at their best, you need to know every detail of their performance. That s why Anritsu created the DS-3 Transmission Analyzer ME462B. 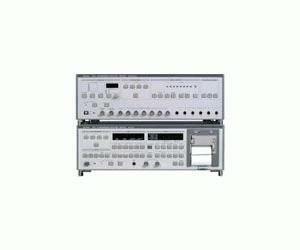 This instrument is specifically designed for testing and evaluating the performance of DS-3 transmission terminal and link equipment (1 MHz to 50 MHz).